Artificial sweeteners can cause addiction and more adverse health effects. Here are the five worst artificial sweeteners you should avoid. i guess i’ll continue to search for Pyure and SweatLeaf - as these are the ones i see as best options (as powder) for a DIY Stevia Sweetener - so far the information in this thread has helped so much so thank you all! I think monk fruit is the only sweetener I have yet to use. Will get around to it as I am ever curious, but has anyone had experience with it? Doesn’t seem to be much information out there on this. From what I’ve heard, read and considered, i am not using any artifical sweeteners. IMO they are riskier for your health than average levels of diketones (and i avoid them in my diet whenever i can as well). I avoid Aspartame (NutraSweet), Acesulfame K (ACE K, Sweet ‘n Safe), Sucralose (Splenda), Saccharin (Sweet ‘N Low), Xylitol, Sorbitol, Advantame, Erythritol, Stevia (note: some are also containg GMO if you are concerned about that). I am not buying commercial e-liquids since they are very sweet (= they most probably use one of these). I wish that beside ‘No sugars’ manufacturers would also be advertising ‘No artificial sweeteners’ more often. I typically sweeten my mixes with Marshmallow, Meringue or other sweet flavors (using high VG as well). Good thing to note that artificial sweeteners are more toxic to the human body than people believe; however, you should note that Stevia and Erythritol are both natural sweeteners and are not artificial. Haven’t done much research on Erythritol, but after extensive research on stevia, it is not only a natural sweetener, but an extremely alkaline one at that. Diseases such as cancer thrive on sugar as it is an acidic compound, and while artificial sweeteners may not be as acidic, they are actually more toxic, just as you stated than something such as actual sugar or diketones. Stopped using sucralose due to this fact and started using stevia as it is natural and not man-made. If you are indeed looking to stay as safe as possible while vaping, I would make sure that the stevia you are using (or erythritol) is not genetically modified as you had mentioned. Just wanted you to keep some options open for sweeteners, if you even enjoy using them in your mixes in the first place. Good point and i agree to some point. Both Stevia and Erythritol may definitely be better choices, but readers should be aware that not all those products are completely safe (in fact, most aren’t); so they should better research before buying/using one of these. Couple of notes. Don’t fall on ‘‘Natural’’. Companies are often labelling their products as “Natural”, even when they are actually made from a fermentation process whereby yeast are fed GM corn maltodextrin. When you look at the chemical refinement process, stevia is no more natural than Aspartame, Splenda, NutraSweet, Equal, Sweet N Low, etc. Processing is done with a variety of chemicals, such as, methanol, arsenic, ethanol, acetone, acetonitrile, isoproponal and others - many of these are known carcinogens. There’s nothing ‘‘natural’’ here. Erythritol is most often derived from genetically modified corn (you may want to find non-gmo Erythritol/Stevia product). Some good info about stevia products here. Have in mind that leaves of the plant species Stevia rebaudiana are natural, but the end product such as Stevia sweetener is NOT natural. Truvia for example is often advertised as Stevia product, but the reality is that is made from about 99.5% erythritol (a sugar alcohol), and 0.5% rebiana, an extract from the stevia plant (but not at all the same thing as stevia). Erythritol, the main component of the sweetener Truvia, may be used as an insecticide. The study found that while fruit flies normally live between 39 and 51 days, those that ate the Truvia ingredient erythritol died in less than a week. I’m not sure how safe that is for human, but i would certainly want to avoid vaping it. Note: I am not saying that every stevia product is totally unsafe or bad for vaping; maybe someone who researched different stevia products can help which one is the best for use (Pyure i think is not using gmo corn, but i haven’t researched anything about their process and substances since i avoid these sweeteners). I don’t use erythritol as it isn’t as sweet to me, but that is very interesting about its process and the fruit flies. Would be interested to see a study done on rats as their biology and brain are a bit closer to the human body. The stevia I use lately is the new steviaClear from Nicotine River. I know they say it is non-GMO, but perhaps @Nicotine_River_Chem can comment on the refinement process used? This is the second instance I’ve seen where you’ve decided to try and further your crusade of “educate the people so we can revolt” though. And while your young little idealistic heart is in the right place, you’re not doing much besides spreading FUD*, and paranoia IMO. No need to post in this thread then right? Ohhhh wait. Once again, at least you divulge (for those who can see through all the smoke) that your sole purpose for all of your post above, is to illustrate how everything on the shelves is unhealthy, and unsafe! Gotta Keep trying build that ‘army’ though right?! Please stop peddling the agenda. You’re not going to “save the world”. *FUD (for those who may not be familiar with the term) means Fear, Uncertainty, and Doubt. No need to post in this thread then right? I don’t use any sweeteners. I can’t get past the bitter aftertaste. Marshmallow and meringue are good if you just need to sweeten it a bit. Sprksfly; you seem to be on a little crusade yourself. Not really. While I could have been much more polite or diplomatic about things (and should have), when combined with the very narrow, and slanted point of view, and now infecting other threads… IMO it’s becoming detrimental to the community at large. Erythritol, the main component of the sweetener Truvia, may be used as an insecticide. Serves NO purpose but to scare people (in the attempt to rally them to “the cause”). Now had he used the word IN insecticides, it might be a bit more passable, as a lot of harmless and even inert ingredients are used every day in ways folks would otherwise be clueless about, but even using that position to try and make a point shows the intent behind it in my book. I’m not sure how safe that is for human, but i would certainly want to avoid vaping it. More FUD, while stating flat out that he can’t back it up. even when they are actually made from a fermentation process whereby yeast are fed GM corn maltodextrin. One of the many problems that Mikser has issue with (which would ordinarily be just fine! were he not trying to use both ELR and vaping as his platform or pulpit.) Being that he admitted such in his “disclosure thread”, I left it alone. But it’s infecting other portions of the forum now. And grown to include GMO’s. What’s next to be added to the hit-list? There’s nothing “natural” in vaping. Nor in cigarettes for that matter. If you’re so health conscious, how in the hell did you ever manage to take up smoking?!? Much less vaping. Seriously, I get that he’s excited about being healthier, and that’s a great thing! But FFS, there’s trying to change things you have control over, and there’s “I just know I can fly if I flap my arms hard/fast enough”. Even the specialty “organic” stuff, has has some measure of chemicals applied (acid rain, whatever the animal ate and deposited that was used as fertilizer, etc etc). If you don’t have anything to add about sweeteners, I don’t quite get why you post in this thread either. I’ve been watching the thread, because I’m interested in using sweeteners, and I’ve posted a few times on varying aspects of such in other threads. I love ya hon, and I get what you’re saying. But my God, I think it’s just as criminal to let the overall premise remain “unchecked”. I’m sorry if I’ve upset you, or anyone else, but just like Mikser has the right, I’m going to exercise the right to speak my peace. hugs, love, and respect to you for trying to keep the peace though. You’re a sweetheart! Appreciated! Yeah I just ran across that in another thread within the last 24hrs!! Always nice to have additional confirmation though! So having been a heavy smoker for many years( yes I loved my cigs!) my vape can’t be as bad as my previous habit? The sweetness is not a sugar lips type sweetness either. 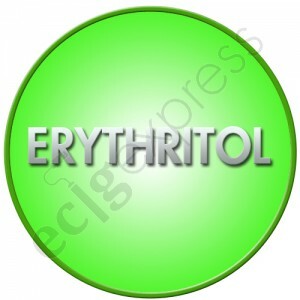 Erythritol, sits below the stevia in the sweetness scale but at high % it works great with mint based recipes. It appears to have a cool taste at higher % ? Monk Fruit, not tried yet but hopefully will at some point as it intrigues me? I’m new to DIY mixing & have just ordered my 2nd lot of flavors.I have an order coming from Western Australia to me in Queensland from Juice Factory. My previous supplier Super Vape Store Banyo seems to not have many flavors that aren’t there own brand, hence a Google search got me sorted. I’ve purchased mostly Capella,a few TFA & Flavorah…getting to the point I’ve ordered what seems to be missing from my small collection to be able to make a few great recipes I’ve seen here & on ATF site. Sweet by Capella amongst them as I love custard & dessert/ sweet juice. Then I seem to come across a few recipes where alternative sweeteners were used like Stevia. Now my Mum is a complete health freak for all 42 years of my life so I have had Stevia in my coffee @ her house for years, so whilst grocery shopping I came across a product made by Raw Earth sweetner co. called Stevia & Monk fruit all natural sweetener. It was on special for $5.60 & I thought I had done well. In previous days not having any alternative I have used Equal mixed @ high % in my recipes knowing that it’s a toxic chemical…so is nicotine and it was temporary! So I get my 'natural sweetener ’ out & put my glasses on to read the small print 1st ingredient: Erythritol with no % then Stevia Glycosides .2%!!! Monk fruit extract .2%!!! So 94% of what I have bought is Erythritol which I had never heard of but I continued to read the label it promises it is all natural & no GM or anything Biotechnology in the production cycles. So I was ok with that till I typed this e word into the search bar on here! So looks like I have a few choices yes I use meringue and marshmallow but recipes can require sweetner, so I’m sick of the after taste from the Equal I’ve used, Cap sweetener is on it’s way but I don’t want to gunk up my coils especially when I mostly use a Vaporesso Revenger with an NRG tank ( yes ,yes have got a dead rabbit rda now too!) 3 coils for the NRG TANK cost me nearly $20 & I’m not up to making my own coils for my rda yet so 2 handmade coils Angry Pixie cost nearer to $30. Have just received my 1st set of made in China coils from Wish of all places! So it brings me back to the granules sitting in front of me, they had the liquid stevia made by the same brand but I want sweet desserts and custards so I have made the best choice available it seems. Well I’m glad that I only ordered 10ml of the Super sweet cap. I’ve got 209grams of the 'natural sweetener ’ so maybe by the time I go through it there will be a better sweetener for when your recipe really does need it. If your decimals are right, then you actually have 99.6% of something other than Stevia and monk fruit! Not going to give any useful tips when it comes to sweetner, other than flv sweetness is supposed to be great at 0.15 - 0.5. When it comes to custards check out strawnana custard by @ken_o_where, kreeds custard by kreed and assassin killer something, not sure the whole name (found on atf). All three are great custards, each with a different approach, sweet and with surprisingly low to none added extra sweetner apart from whats in the aromas used.